Anterior Blepharitis - This type of blepharitis affects the outside edge of the eye where the eyelashes attach. Posterior Blepharitis - This type of blepharitis affects the inner edge of the eyelid, and can come into contact with a person’s eyeball. The team at our Shelby Township, MI vision center would like to consider how dandruff may be linked to this condition. We’ll then note some options for management and treatment of blepharitis. How Is Dandruff Related to Blepharitis? Dandruff is one of the signs/symptoms associated with blepharitis. People who suffer from blepharitis may notice serious dandruff on their scalp as well as their eyebrows or eyelashes. These issues are often linked to eye irritation and subsequent blepharitis. Generally speaking, dandruff is more commonly linked to anterior blepharitis rather than posterior blepharitis. If you notice any combination of symptoms noted above, be sure to see your doctor or an eye care specialist for assistance. During a consultation with an eye care specialist, the root cause of your blepharitis will be determined in order for the proper treatment to be performed. Blepharitis is not curable, but patients have many options for management of the condition. 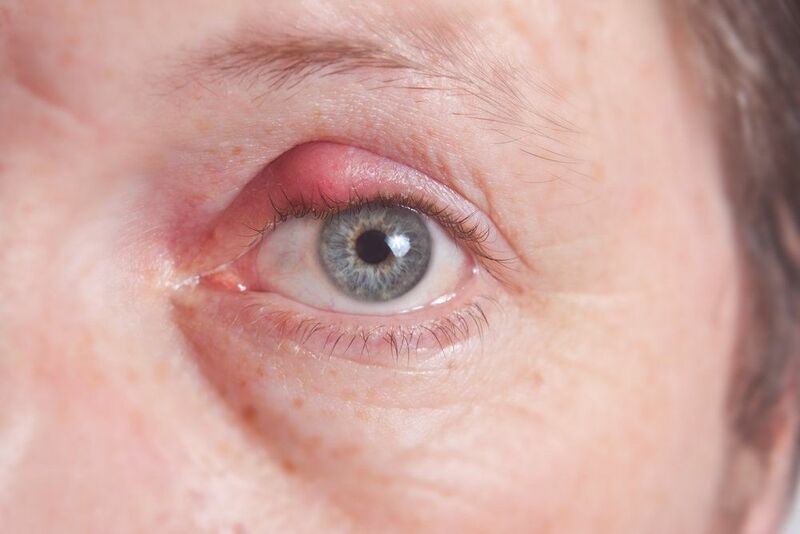 The most common treatment is to apply a warm, damp towel to the eye when the symptoms of blepharitis start to appear. This simple act can soothe the eye and help the symptoms go away on their own. Properly washing the eye area an also be quite helpful. Doctors can prescribe medications to help minimize inflammation and get a bacterial infection under control. These drugs can be quite effective when paired with the use of a warm, damp towel to soothe the affected eye. If dandruff is a cause or contributing factor to your blepharitis, we can help offer treatment that directly address your seborrheic dermatitis. Generally this means the use of dandruff shampoos, anti fungal creams/ointments, oral medications, and specially medicated lotions that help reduce inflammation and soothe the eyelids when symptoms are present. Be sure to follow the instructions for use carefully. Since the eyelid is affected, it’s important that these medications only address the eyelid itself rather than getting into the eye as well. To learn more about diagnosis and treatment of blepharitis, be sure to contact our advanced eye care center today. We look forward to your visit and discussing these matters in greater detail.